In August 1620, the Mayflower, with 102 passengers destined to become some of the founding pilgrims of the America, and the initiators of one of this nation’s most popular holidays. 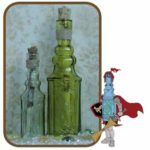 After weeks of plowing through the tumultuous Atlantic waters, they landed on the coast of Massachusetts. More than half of the original pilgrims did not survive the first, long, bleak New England winter. As many as three people would die each day from infections or sickness. With spring’s approach came hope. The remaining pilgrims built houses and planted the fields. 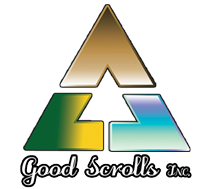 They befriended local Indian tribes and began trading with them. The pilgrims labored and produced throughout the warm months. The colony started to flourish. 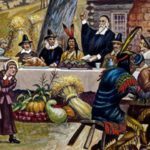 After the first harvest in the fall of 1621, the pilgrims dedicated a day for thanking God for the bountiful crops which blessed them. They endured the hardships pioneering a new land. They built the entire colony from the wilderness. The pilgrims were at peace. They gave thanks and were especially grateful for their harvest. With the plenteous food and crops, they were prepared for the long and brutal winter ahead. Such was the beginning of the Thanksgiving tradition. The holiday associated with Pilgrims and Native Americans has come to symbolize intercultural peace, America’s opportunity for newcomers, and the sanctity of home and family. Thanksgiving Day, as celebrated in America, is a time to gather with family and friends to give thanks for the many blessings enjoyed by this nation and citizens. To many people, its meaning has grown into a bigger holiday surrounded by new traditions. 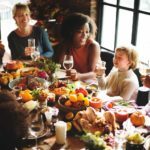 As the country became urban and as family members began to move farther apart, Thanksgiving became a time to come together. The holiday moved away from its roots to allow the variety of new Americans of every background to participate in a common tradition. 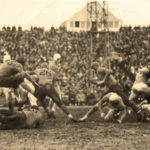 , In 1876 beginning with Yale versus Princeton, a new addition to the holiday tradition began, Thanksgiving Day football games, this enabled fans to add some fun and rowdiness to the holiday. 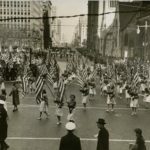 In 1920 Gimbels’ department store in Philadelphia staged a parade of about 50 people with Santa Claus at the rear of the procession. Since 1924 the annual Macy’sparade in New York City has continued the tradition, with huge balloons since 1927. 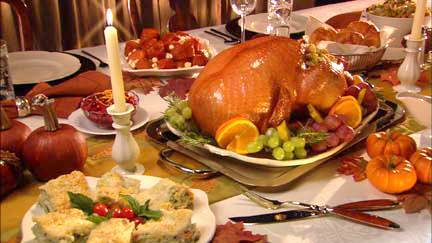 Thanksgiving also begins a time of strong generosity around the holidays. 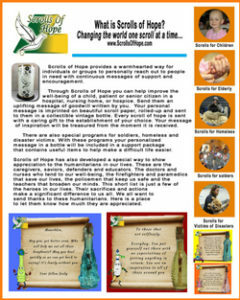 Charities around the world recruit and largely depend on volunteer workers to feed the needy. This is a time to plan to do something to help those with less. More important, decide to continue the tradition to volunteer during the year. Send us any ideas you may have in the reply below. At this time of Thanksgiving, we pause to count our blessings. The freedom of this great country in which we live. It’s opportunity for achievement. The friendship and confidence you have shown to us. For all of these things, we are deeply thankful. Our best wishes for a Happy Thanksgiving. 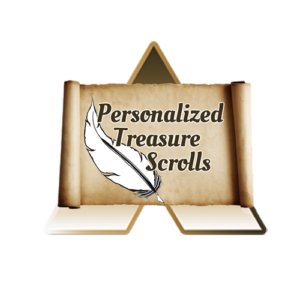 Personalized Treasure Scrolls is about growing family bonds throughout the year. Thanksgiving is one of your favorite holidays. It purpose mirrors our mission of growing bonds between friends and family. Bonds between family and friends will grow naturally by staying in frequent contact. 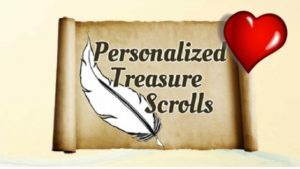 The unique structure of Personalized Treasure Scrolls allows individuals to write and complete a full year of messages to one special person in just one visit. 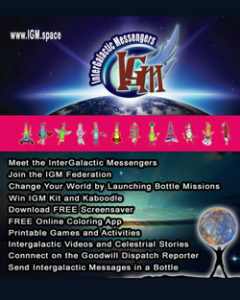 Our entire purpose revolves around the message.